» Albany-Corvallis path: Pedaling on? The meeting is set for 5:30-7 p.m. Tuesday, Dec. 13, in he gym of the Waldorf School, 3855 Hwy. 20, Corvallis. 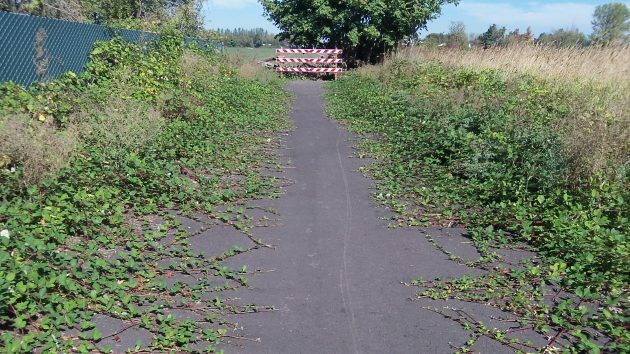 Yielding to objections by farmers, the Benton County Planning Commission in February 2015 ruled against a plan to route the path along the Albany-Corvallis railroad line, and the county had to turn back a $2 million state grant toward its construction. Since then the county commissioned a survey that showed the path would get significant use. And this March the county board voted 2-1 to hire consultants Barney and Worth, of Portland, to explore alternative routes and talk to property owners. The agreement with the consultants called for a three-phase process. Whether it goes past the first phase, concluding with the public meeting, the commissioners will have to decide. I asked Public Works Director Josh Wheeler whether the consultants were able to identify any alternative routes acceptable to property owners, or whether that proved impossible. I only wish you would apply your sarcastic wit when discussing the Linn County commission which consists of two Crazies and a third, nondescript individual. Or, how about using that same rapier-like pen on the Albany City Council, the Gang That Can’t Shoot Straight. Given the reactionary make-up of that august body, one would think they too should be subject to your mighty wrath. The Albany City Council,is unable to fulfill the wishes of the very people who grant them power, yet you browbeat the Benton County Commission because they won’t build a bike path? It’s pretty easy to see who’s the sensitive one in this exchange. Hasso’s statement was simply fact. Hartman devolved into name-calling very quickly. I own land affected by the proposed route. I have not been contacted by Barney and Worth. Maybe they used up the $45,000 on other landowners before they got to me? There should be criteria to be satisfied before a governmental agency spends a couple of hundred thousand dollars studying a proposal… perhaps similar to placing an initiative on te ballot? Some might think this is a gross waste of Commissioners’ time and taxpayer money to benefit a relatively few citizens. The benefit should be quantified prior to spending large amounts of money on proposals that may have little support. But, as you said, Hasso: it IS Benton County, and the Commissioners are all Democrats. Well, in Benton County, you at least have a chance. In Linn County you’d need to provide free land for a bowling alley to even get an email returned. The route following the railroad tracks makes the most sense, it is too bad a compromise with the land owners cant’ be worked out. If there isn’t the desire to use the power of eminent domain maybe the project should just be scrapped entirely.